The talented “Men of Grace” quartet provided the entertainment for this year’s “summer picnic” of the Fayette County Retired Teachers Association in an especially familiar setting for the musicians: the air-conditioned Fellowship Hall of Grace United Methodist Church. An audience of 60 enjoyed the program after a dinner catered by The Willow. Shown are (from left) FCRTA Vice President Ron Lott, FCRTA President Norma Kirby, and Grace Methodist’s accompanist Jeanne Rosendahl, Greg Conrad, Vic Pontius (holding guitar), Mike Jenks, guest vocalist Cindi Grover and Jim Rosendahl. 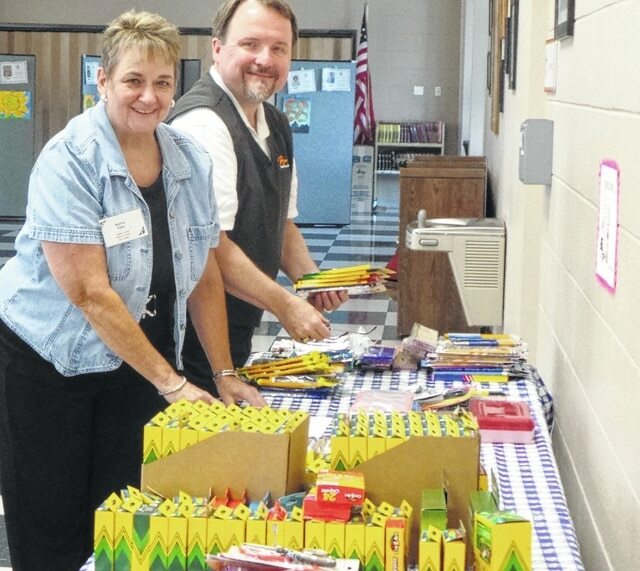 President Norma Kirby, assisted here by her husband Mitch Kirby, begins to count and pack up the new school supplies contributed by Fayette County Retired Teachers Association members at their August meeting. Joyce Lott delivered the many bags and boxes to The Well at Sunnyside for distribution this month to Fayette County schoolchildren. https://www.recordherald.com/wp-content/uploads/sites/27/2016/08/web1_20160804_181702.jpgThe talented “Men of Grace” quartet provided the entertainment for this year’s “summer picnic” of the Fayette County Retired Teachers Association in an especially familiar setting for the musicians: the air-conditioned Fellowship Hall of Grace United Methodist Church. An audience of 60 enjoyed the program after a dinner catered by The Willow. 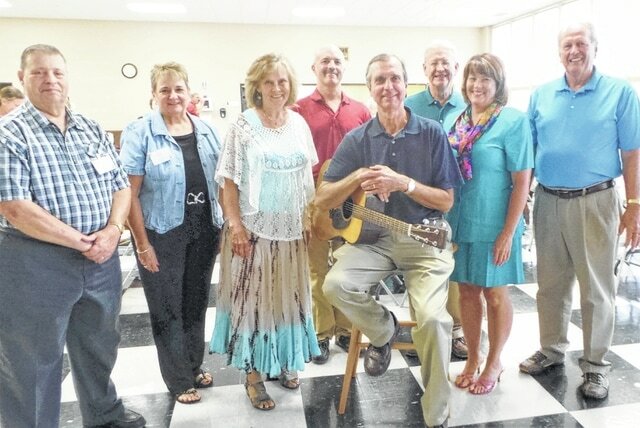 Shown are (from left) FCRTA Vice President Ron Lott, FCRTA President Norma Kirby, and Grace Methodist’s accompanist Jeanne Rosendahl, Greg Conrad, Vic Pontius (holding guitar), Mike Jenks, guest vocalist Cindi Grover and Jim Rosendahl. https://www.recordherald.com/wp-content/uploads/sites/27/2016/08/web1_20160804_181942.jpgPresident Norma Kirby, assisted here by her husband Mitch Kirby, begins to count and pack up the new school supplies contributed by Fayette County Retired Teachers Association members at their August meeting. Joyce Lott delivered the many bags and boxes to The Well at Sunnyside for distribution this month to Fayette County schoolchildren.